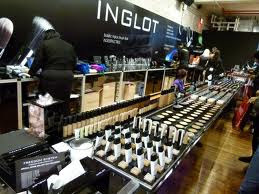 The Makeup Specialty Instructor, Angie, just came back from training in California, where she got a chance to check out Inglot Cosmetics! When she told us about it, she said it is even better than M.A.C. and all of our mouths dropped! She brought in one of her pallettes that she was able to customize herself. His principal objective was to produce high quality products at fair and reasonable prices, using only the best possible ingredients and raw materials from the most reputable suppliers." 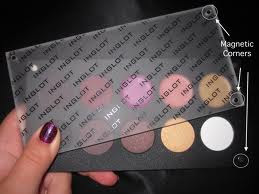 A cool thing about Inglot is their packaging and the way their palattes are. 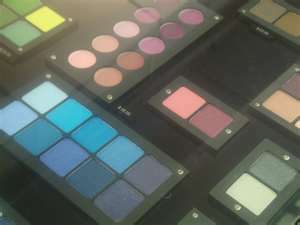 The palettes are customizable, the covers are magnetic and sheer so that there is no confusion on what palette has what colors. The prices are similar if not cheaper than M.A.C. and other cosmetic lines. Ms. Angie did swatch some of the shadows on my arm, and they did not rub off and the colors were very pigmented. I am planning on ordering some soon and when I do, I will let you know! Have a great night and weekend!